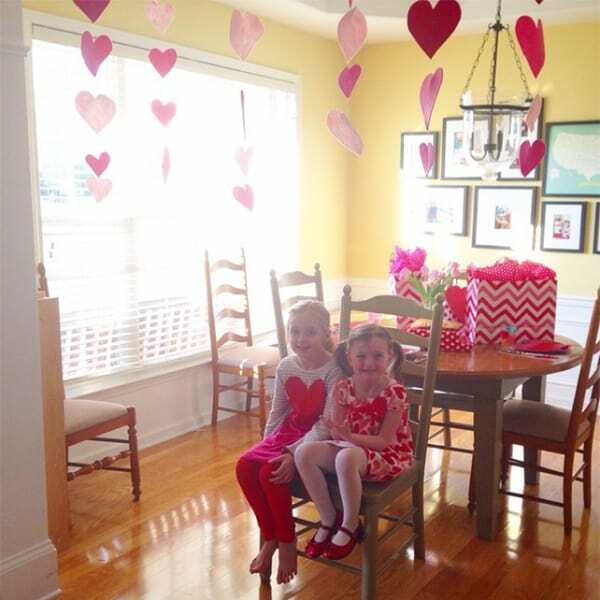 This easy DIY felt heart garland is a simple intro-sewing craft for kids and a great Valentine’s Day decoration! The girls and I were looking to add a little extra LOVE to the house. We saw this awesome Etsy find, a reclaimed felt heart garland on Pinterest and simply had to try to make it ourselves. We decide to roll with a red-to-pink ombré vertical garland, so we grabbed five shades of felt at the local craft store. 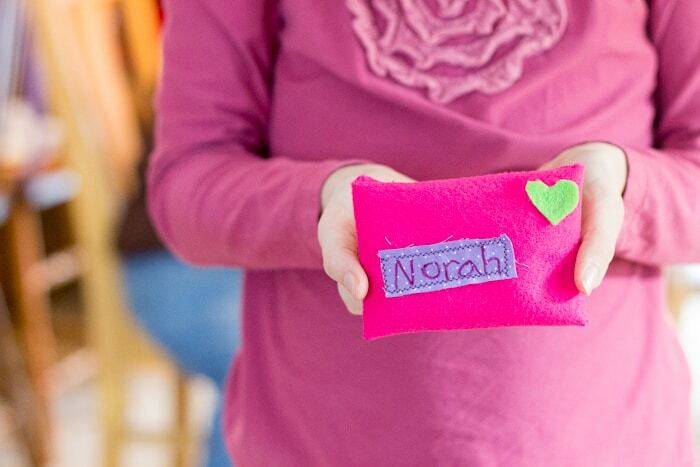 We also got supplies to make these adorable handmade felt Valentine envelopes. 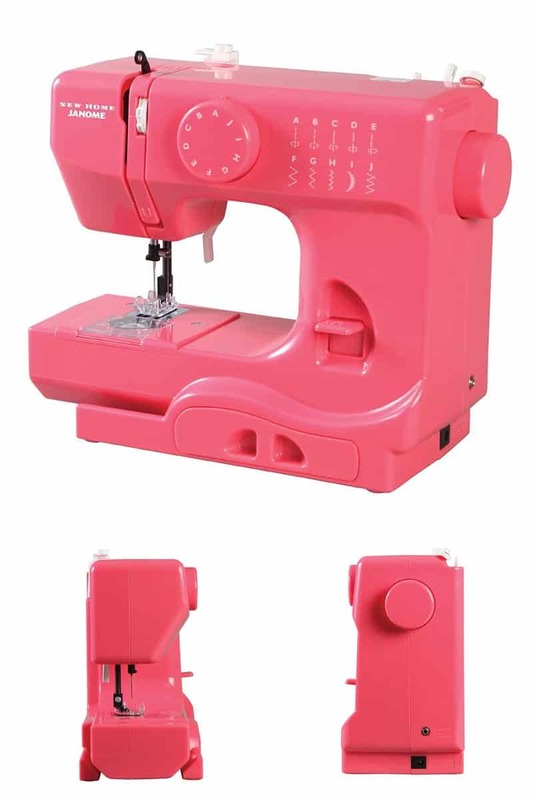 Quick Note: We love this Janome Pink Lightning Portable Sewing Machine (above). We started off with a toy sewing machine when the girls were little and it was a waste of money. We bought this small machine when my daughter was eight and it has been awesome. It has a lot of nice features and is a great stepping stone to a full machine. I highly recommend it for kids. 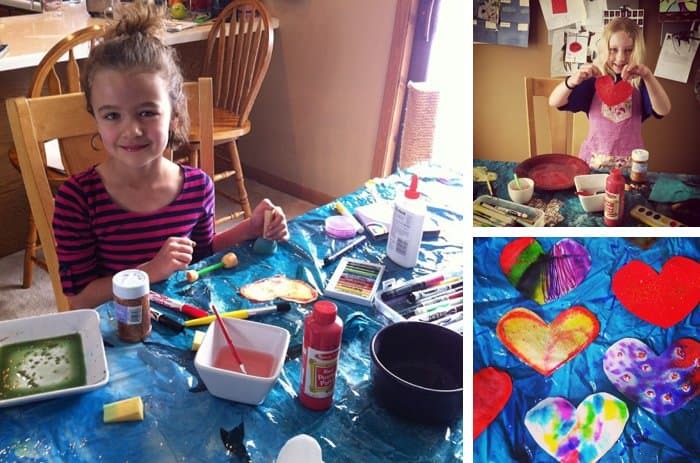 Create cardboard template and cut felt hearts to the size of your choice. We went with smaller hearts to ensure the top curves didn’t fold over when displayed. 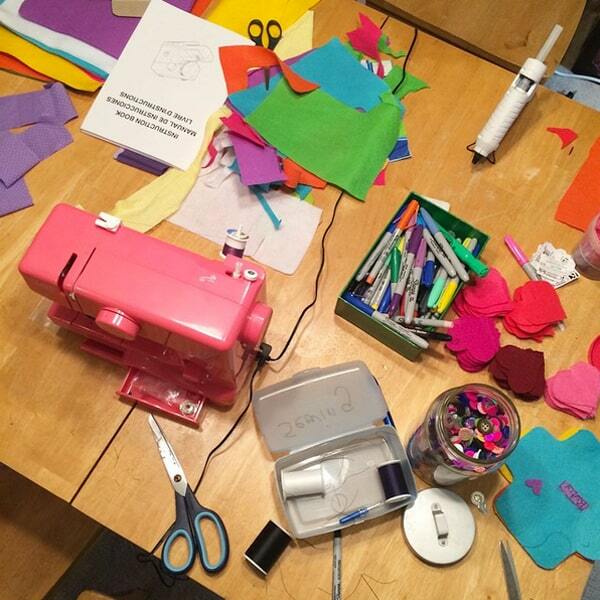 Get your sewing machine ready. 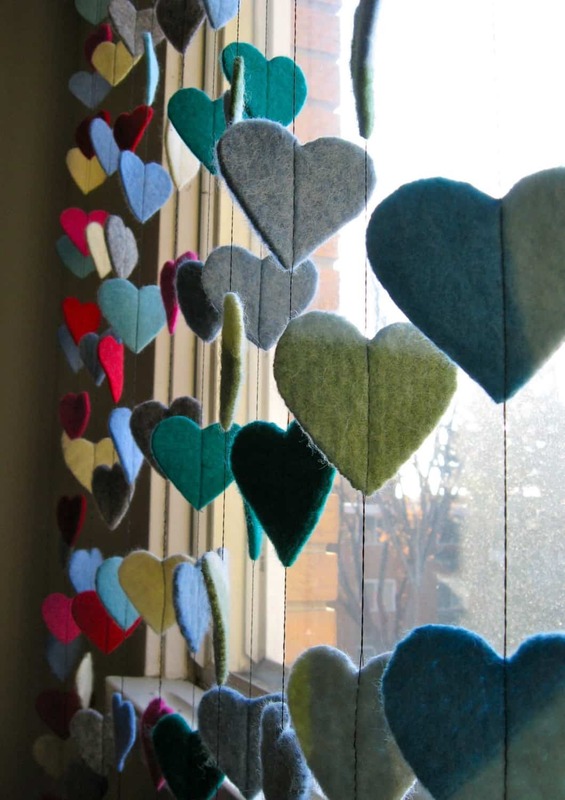 Pull some thread (so you have something to hang the garland from) and then sew down the center of your first felt heart. Pull more thread (we left about 6 inches between each heart) and sew through the next heart. Continue this until you have as many hearts as you wish. Our garland had five hearts, one of each shade of pink/red. Hang the garland from the ceiling using a push pin. Easy-peasy, once you get your groove going. 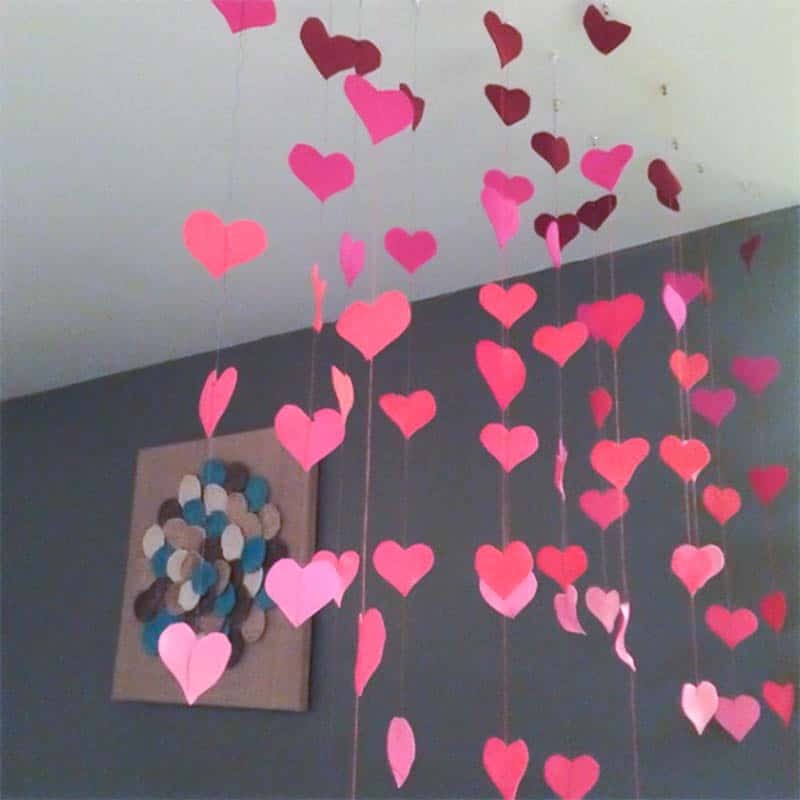 Our good friends over at Peanut Blossom also created a slightly larger heart garland following the same guidelines. Isn’t this Instagram pic adorable? 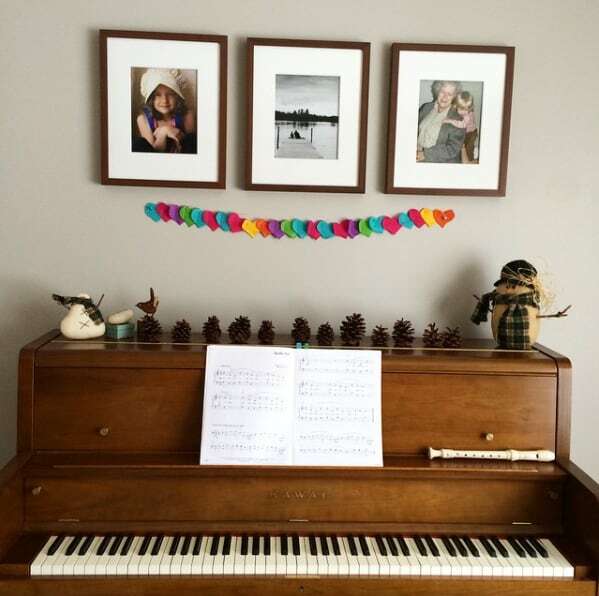 My daughter also stitched together a horizontal felt heart garland for above our piano with the leftover pieces.